Written by Rebekah Dothager. Media added by Sean McFarland. 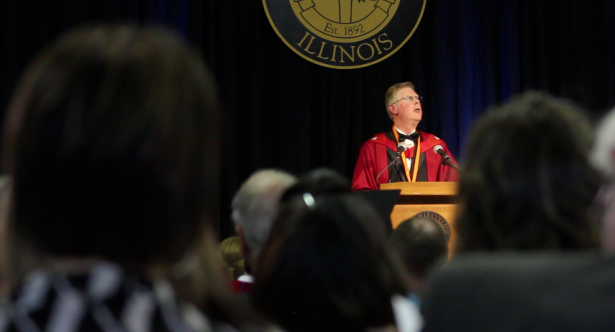 This past Thursday, November 7, 2013, was a historic day for Greenville College as we inaugurated Dr. Ivan L. Filby as our 12th president. The day began with a lunch in the Krum Recreation Center open to all students and guests present for the event. After the delicious lunch served by the DC, the Inauguration took place in the H. J. Long Gymnasium at 1:00 PM, and it was a beautiful service filled with celebration, music, and prayer for Dr. Filby and his new role as president of our college. A reception followed the ceremony, at which people had the opportunity to congratulate Dr. Filby and his family. Later that evening, The McAllaster Scholars hosted a lecture with Dr. Richard Bauckham, a New Testament Scholar from Cambridge University. To close the day’s events, Vespers took place in the Wilson Recital Hall, reminding us that even throughout the celebration and festivities, God is the center and purpose of all the we do here at Greenville College. We can all agree that Ivan and Kathie have already had such a positive impact on our campus in the few short months in their roles, and I cannot wait to see what is in store for Greenville College as God leads them through this journey. They make a great effort to be present on campus for students and faculty, which really demonstrates their level of care and love for the school. Students have recognized this and have grown to love them, as well. In fact, a couple GC students even built a Tardis to honor of one of Dr. Filby’s favorite shows, Doctor Who! 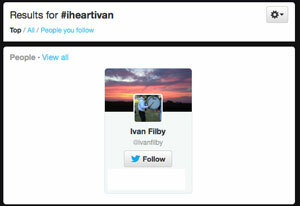 There is a popular hashtag, #IHeartIvan, circulating through Greenville College Twitter. I think this is a good example of how the Filby’s have won the hearts of Greenville students and alumni, especially with tweets like Riley O’Reagan’s, which said, “I hope if you go to GC you understand how much of a blessing the Filby’s really are. Seriously an awesome family. #iheartIvan.” Emily Callon also summarized Dr. Filby’s impact on our campus well by saying, “#IHeartIvan is so good at doing community well–bringing separate entities together by showing love through the common ground of Christ.” These are only two students’ perspective, but they accurately portray the messages that overflowed Greenville students’ Twitters this week. 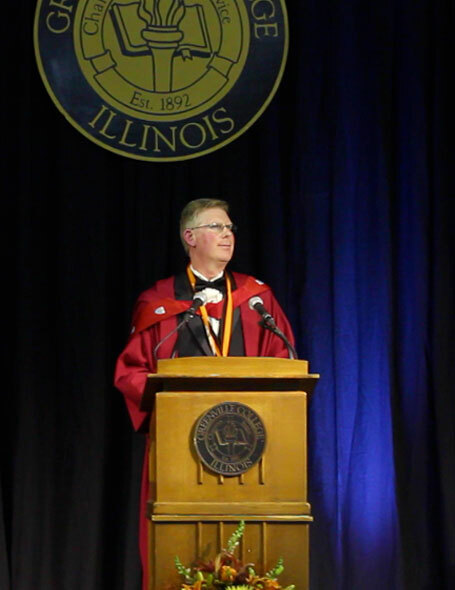 Through this week, we’ve gotten a glimpse of the positive and transformational journey that we will experience with Dr. Filby as our 12th president.